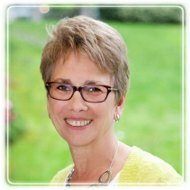 Vancouver Therapist: Mary Ann Pelzer - Therapist V6B 1L8. Session Fees: I charge $120 per session. Congratulation on taking this difficult step! Acknowledging there is a problem is the first step on making important changes to Improve your Life! Let me tell you how I can help you continue this process. I am a caring, highly skilled, professional psychotherapist. I provide men and women with unconditional support, counselling and therapy. My primary objective is to provide you with all the help and support you need to reach your goals and finally move from just Surviving to Thriving in your life! My therapeutic specializations include: depression, anxiety, relationship issues (including anger management, boundary issues and communication training) grief and loss, PTSD, stress management, self-esteem issues, unresolved trauma, childhood abuse issues/ relationship abuse, and sexual assault. I also provide effective and compassionate counselling for victims of crime. I am registered with the Crime Victims Assistance Program and am also available for ICBC claims.